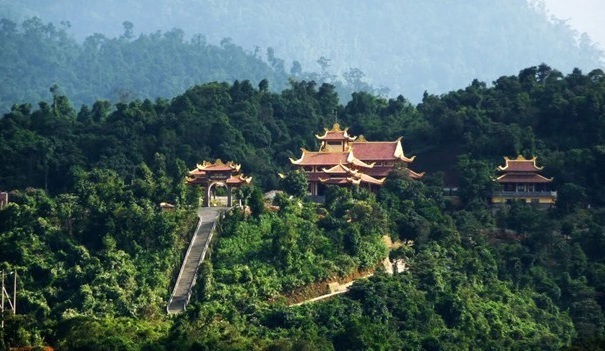 Yen Tu mountain still retains a gigantic treasure of Buddhist culture of the Vietnamese people from 700 years ago with dozens of pagodas, hundreds of temples and thousands of ancient precious relics which contain invaluable spiritual and ideological values of the Truc Lam Zen sect and the splendid culture of the Dai Viet. 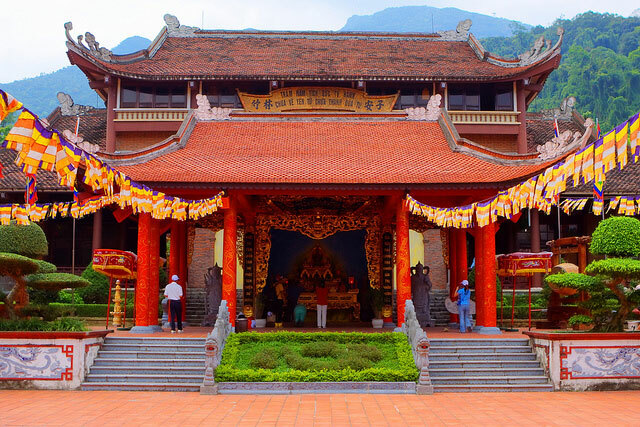 This Vietnamese saying goes “You may be charitable and lead a religious life for a hundred years, but if you haven’t made it to Yen Tu, you haven’t reached the highest religious bliss. 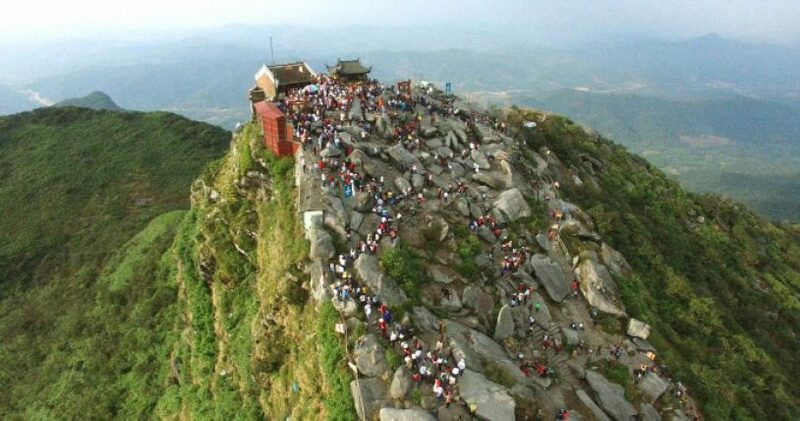 Situated within the majestic arched mountain range of north-eastern Vietnam, Yen Tu Mountain in northern coastal Quang Ninh Province bears at its peak the Dong Pagoda. 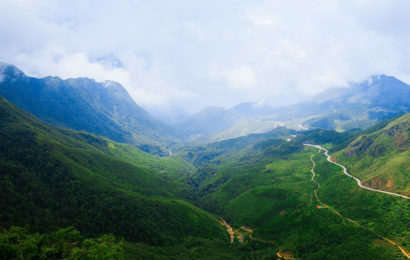 At an altitude of 1,068m above sea level, the breathless climb leads one higher and higher till you find yourself at the top in the pristine of white cloud surroundings. The journey seems to gives one the feeling of a stairway to heavens – away from worries of the world, a peace of mind and heart. 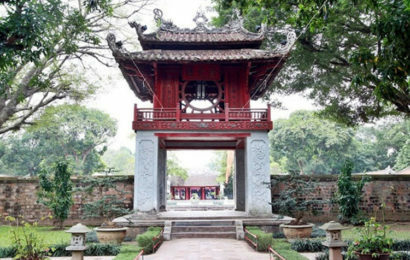 It is said that the third emperor of the Tran Dynasty, King Tran Nhan Tong (1258-1308), came to Yen Tu after his abdication and began a new life as a Buddhist monk. He dedicated his life to the Buddha – establishing temples, meditation centers, and undertaking Zen missions. 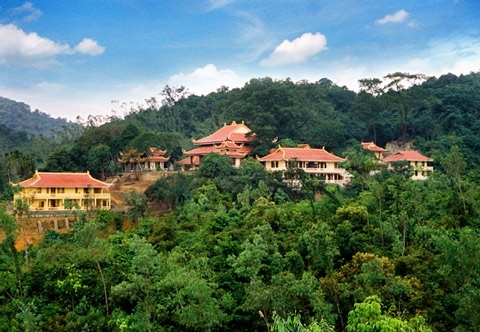 Later, he co-founded the Truc Lam Zen School, the first Vietnamese Buddhist Zen Institution. King Tran was renowned for having led the country to victory over the powerful Mongolian army in two wars in 1285 and 1287. Once the wars were over, he devoted his time and energy to caring for his people and developing the country. He paid special attention to improving agriculture and irrigation systems, allocating land to farmers, developing the economy, improving living standards, encouraging education and preserving culture. With peace and progress established, the King was determined to lead a religious life and further his learning of the Buddhist teachings which he was most passionate about. In 1293 he abdicated the throne to his son Tran Thuyen (King Tran Anh Tong), although he continued to monitor situations in the country and at times act as an advisor to his son in some political decisions. 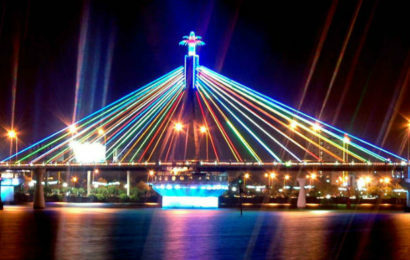 In Quang Ninh, you can come to see Ha Long Bay.